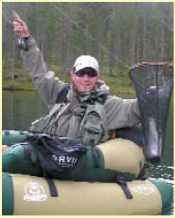 There are many types of fishing waters for serious fly-fishing in the Oulu area. Just 80 kilometres from Oulu, the river Simojoki is nowadays a major salmon river. The river also has a good stock of natural grayling. Its size makes the Simojoki ideal for fly-fishing. There are many different types of rapids ideal for wading. Rapids width varies from some 20-80 metres. Water quality is good and slightly brownish. Simojoki in terms of size and fishability. The fish population comprises grayling, trout (natural and stocked) and the occasional salmon. Water quality is good and brownish. Lake Valkeisjarvi is set amidst a forest landscape some 70 km from Oulu. The lake is 1.5 km long and some 700 m wide. There are holiday cottages on one shore, otherwise the area is tranquil and virtually uninhabited. There is also a Sami tepee (kota) and fire places on the shore. The water comes from a spring and is extremely clear. The fishing population includes natural good-sized whitefish (30-55 cm) and stocked rainbow trout and trout. All the rivers in the area can be waded and easily fished during periods of normal water. Despite their size, casting distances are adequate and all normal techin-ques of fishing can be used. Lakes can be fished from a boat or float tube and in places from the shore. 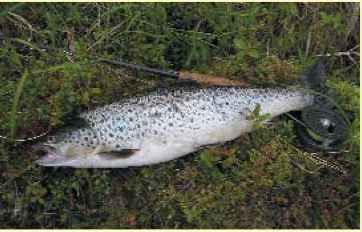 A slightly heavier single-handed rod (classes 6-8) or lighter two-handed rod (classes 8-10, length 11-13 feet) is adequate for fishing salmon on the river Simojoki. You can normally manage with floating line, although sometimes a sink ing line is useful. It's worth bringing a lighter single-handed rod (classes 2-7) and floating line to fish for grayling, trout and white-fish. Waders are almost a necessity for serious fishing. A rowing boat with life jackets/ two persons for lake fishing. You can also try a float tube if you want. The boats have anchors. Accommodation either in a well-appointed holiday cottage near the fishing sites or at a venue (hotel or camping area) in Oulu. A week's fishing package including accommodation in a well-appointed holiday cottage near a fishing site to enable daily visits. Basically 2 days fishing on the river Simojoki, 2 days fishing on the river lijoki, 1 day on the river Kiiminkijoki and 1 day on lake Valkeisjarvi. This programme may change depending on customer wishes and weather conditions. Extra charge for hotel accommodation in Oulu. The package includes transfers to and from the airport, accommodation and fishing sites, fishing licences and equipment (if required) and one outdoor meal per day. At least one professional fishing guide will accompany groups at all times. A day/full day fishing trip can also be made to any of the destinations mentioned here. In which case the price excludes accommodation. Price Fly-fishing week €1400 per person. Fishing trip from €180 per person/day. The hiking area of Suomussalmi in the province of Oulu near the eastern frontier provides some great opportunities for fishing. The area is characterised by predominantly pine forested gravel ridges interspersed with ponds and lakes connected by streams and rivers. The largest river in the area is Hossanjoki, which is 30 metres wide and has eight rapids ranging from 130 to 800 metres, with a water fall averaging 0.54 metres per hundred metres. The rivers are 10-25 metres wide and can be fished wading from one bank. There are also brook fishing sites in the area. The rapids vary from slow flowing ones to stony, foamy ones. The lengths of the rapids areas vary from 500 metres to several kilometres. The water is slightly discoloured by humus. Whilst most of the brooks are easy to fish and wade in, the river Hossanjoki is challenging and wading trousers and a wading staff are recommended. Pocket fishing both upstream and down. Class 4-7 rods, 8-9 feet, and floating line are suitable for fishing. Various bead heads (larvae, pupae and streamers) work, as do adult caddis fly imitations and adult mayfly imitations and nymphs. 0.15-0.25 snoods, and a special snood for pike. Trolling or casting in boats. Boat equipment: oars, bailers, flotation jackets and rod holders. Wilderness cottages equipped with: electricity, shower, sauna, kitchen (microwave, dishwasher, electric cooker, fridge). An entire package with transfer from and to Kuusamo (meals, services of a guide, transfers). The product can be adapted to include the best fishing sites with a focus on rivers or lakes, de pending on the wishes of the customer/group. 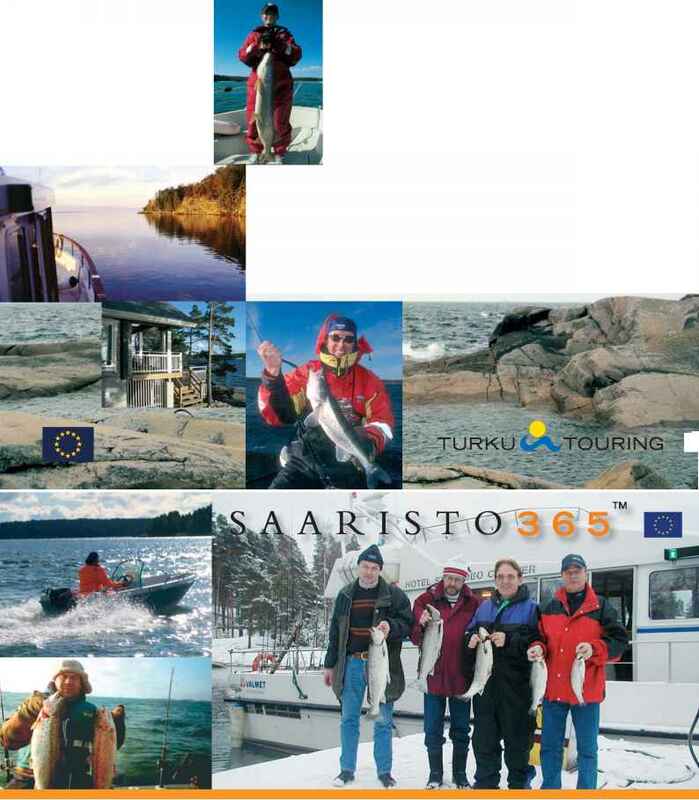 Transport from Kuusamo airport to Hossa, accomodation at fishing cottage, sauna and dinner. Introduction of local flys and Finnish fishing techniques. Breakfast, transfer to fishing area, fishing with guide, lunch at open fire, fishing continues, return to cabin, sauna and dinner. Breakfast and transport from Hossa to Kuusamo airport. Extra charge: alcoholic beverages, lures, fishing equipment and belly boat hire.